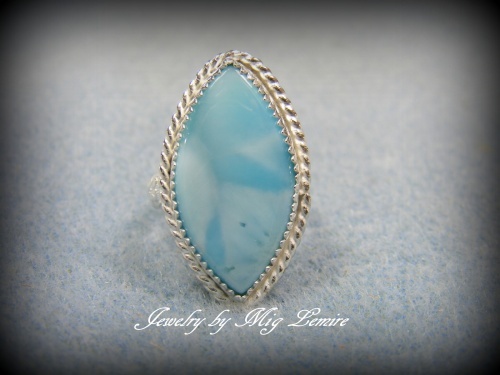 Gorgeous sky blue Larimar is so striking against the sterling silver framework. Piece has a pretty floral design band. Measures 1 1/4" long by 3/4 wide. Size 6 1/2.